53% off the Dr. Martens Women's Corin Mary Jane Flat Shoe - Just $59.99! 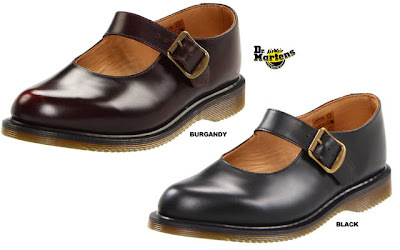 This Dr. Martens Women's Corin Mary Jane Flat Shoe is currently selling for just $59.99 on Tanga.com! You will be saving 53% off the listed price of $130.00 with this women's shoe deal. More about these Dr. Martens shoes . . .